The client is one of the leading global financial technology companies, who are working toward providing technology and services for a more stable cryptocurrency ecosystem. They are taking advantage of blockchain and traditional technologies, to facilitate the digitization and exchange of all kinds of assets. In a multi-vendor environment with fierce competition, Devexperts was reliable and flexible. They successfully met the budget base and timeline, were quick to handle our changing requirements, take on extra work and consulting, and participate in demos for business partners. In addition, our partnership has brought us new interest from investors. The client decided to expand their business and to start offering trading services of cryptocurrency assets on B2C markets and cryptocurrency liquidity services on the B2B market. Since many competitors were working on their own trading solutions the client wanted to have a first mover advantage, setting a timeline to launch within 3 months. For B2C markets, the key competitive advantage was designed to be an advanced trading terminal that outperforms any current offering available to traders on the market. In order to design a leading trading platform, the client needed help in analyzing current brokerage offerings and possible business models. In addition to lacking expertise, the challenge was to connect fragmented cryptocurrency capital markets within a single trading terminal. For the B2B sector, the client’s team identified that the main market need was to get deep crypto liquidity from a single vendor. Seeking a technology partner, the client required a software development company, which had successful development projects both in the field of conventional financial markets such as equities or FX and had the same level of confidence with cryptocurrencies. Devexperts defined the business model, examined the operations lifecycle, necessary investments, jurisdiction, and many other aspects for the client in order to successfully enter retail and institutional cryptocurrency brokerage markets. The best option here was to leverage solutions created for the conventional markets and spice them up with the specifics of cryptocurrency. 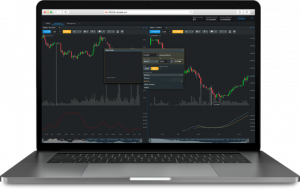 After consulting with the client over the results of the research, and selecting the right business model, Devexperts utilized the components of its dxTrade multi-asset trading platform to deliver web and mobile terminals for the wide audience of cryptocurrency traders. dxTrade was also used as a core of the B2B platform to provide deep cryptocurrency liquidity for institutional brokers. The idea of a B2C system is to bring order books from multiple crypto-exchanges to one platform, where traders can see the consolidated crypto liquidity ladder in a single window. The project pipeline includes smart order routing, spatial arbitrage algorithms, hidden orders, and portfolio analysis tools. 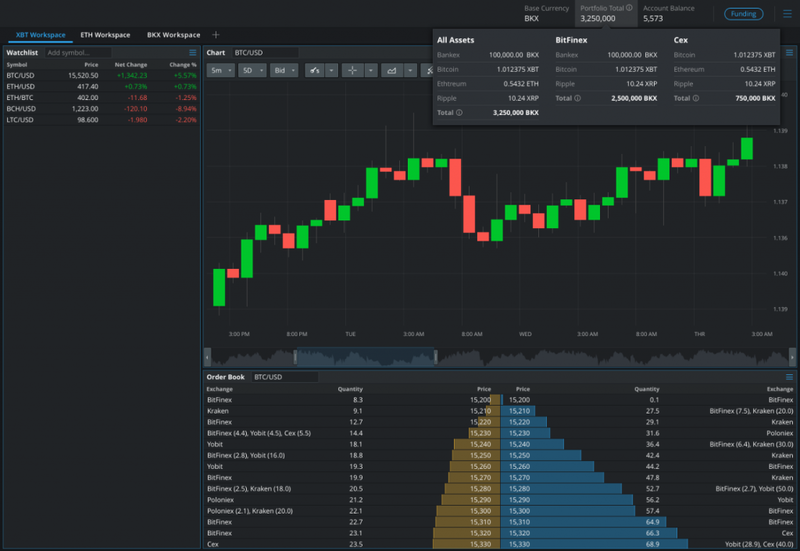 An order-entry widget, charts, tools for technical analysis, etc. An ability to route orders to a crypto exchange of the user’s choice to achieve the best execution (the user may take into account price, depth of the ladder, available funds, etc). The purpose of a B2B system was to equip institutional brokers with an enterprise-grade trading vehicle that interconnects smaller market participants with the deep cryptocurrency liquidity and allows margin trading. The B2B solution is a full-fledged margin trading platform, consisting of all integral platform components such as web and mobile terminals, OMS, gateways to cryptocurrency exchanges (Bitfinex, HitBTC, Binance, GDAX and others), risk management monitors, etc. With the help of Devexperts, the client now has a solution for both B2B and B2C segments.